KANSAS CITY, Mo. — Without traffic, it takes about 30 minutes to get from Kearney High School to Arrowhead Stadium. The drive is pretty straightforward: jump on I-35 South to I-435 South and then take the exit for the Sports Complex. That's it, you are there. It's a route the Tennessee Titan's Beau Brinkley has traveled many times. The long-snapper is from Kearney, Mo. 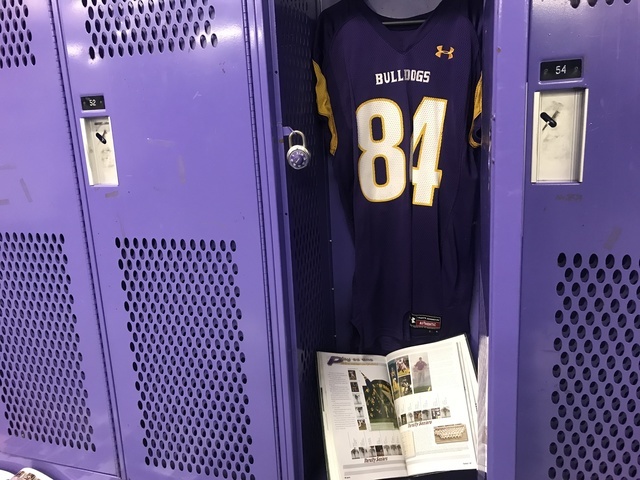 Beau wore jersey 84 at At Kearney High School. "He is the same as he was back in high school," said Josh Gray, Brinkley's defensive coordinator in high school. "He is a genuine guy." Saturday, the Chiefs will take on the Titans in the wild-card playoffs at Arrowhead Stadium. And while the game will determine who will advance to the next playoff rounds, Gray said it will be more of a homecoming for Brinkley. "There will be a lot of people from Kearney in blue and hopefully some Mizzou fans that will have a little blue underneath their Chiefs gear," he said. 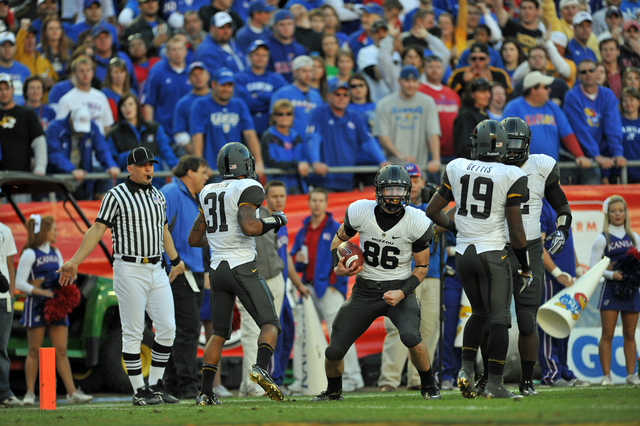 In high school, Brinkley played long-snapper, wide receiver and tight-end. His senior year, he helped lead the team to a winning season. And in college, he became a preferred walk-on at the University of Missouri. When he got to Columbia, he focused on being a long-snapper. "At the end of the season he always comes back home and comes up to the school," said Gray. Since Brinkley played in high school, the football locker room has expanded. However, a signed jersey and a pair of cleats sit in the corner to remind and encourage players they can go far if they work hard. Brinkley signed with the Titans in 2012 as an undrafted free agent. "He is a positive role model you hope your kids become," said Gray. Saturday will be a "huge game."